This handsome young dude is Toby. 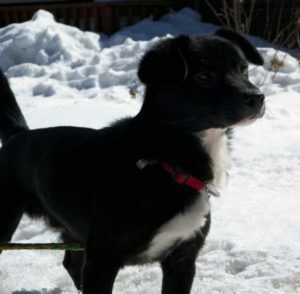 He’s approximately 1-2 years of age and has arrived from China so that we can help him find his forever home. Toby is a sweet confident fella who enjoys the company of other dogs, but especially likes humans. Since his arrival he has discovered that those humans can be pretty darn kind and loving, and oh the pets and ear rubs!! 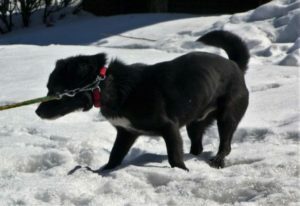 Toby is house trained, crate trained and is good on a leash. He is looking for a home where he can get more ear rubs and perhaps learn to do some tricks like shake a paw and roll over. If you are interested in adopting Toby please complete the adoption application. Once the application has been received and reviewed a member of the team will be in touch to set up a meet and greet. Toby’s adoption fee is $500. and includes his neuter and up to date vaccinations.